Email Scams and internet hoax from fake senders and Facebook. Exposing scam in your email account. Why is my email spam? Who's sending this junk email? How Can I Reduce Spam In My Junk Email Inbox? Unwanted commercial email – also known as "spam" – can be annoying. Worse, it can include bogus offers that could cost you time and money. Take steps to limit the amount of spam you get, and treat spam offers the same way you would treat an uninvited telemarketing sales call. Don't believe promises from strangers. Learn to recognize the most common online scams. Many consumers receive a variety of unsolicited commercial e-mail (also known as "spam") in their offices or at home. While people don't always like getting spam, much of it has a legitimate business purpose. Unsolicited e-mails, however, are often the initial means for criminals, such as operators of fraudulent schemes, to contact and solicit prospective victims for money, or to commit identity theft by deceiving them into sharing bank and financial account information. The following information, e-mail addresses and contacts noted below are provided for your reference if you have received a particular type of unsolicited email and would like to report or forward it on to law enforcement authorities. Spam is a nuisance, so complaining about it is a natural reaction. With the huge numbers of unsolicited email showing up in mailboxes, it just does not seem to be a very productive reaction, though. Still, if you turn just a bit of the spam-induced anger to reporting the junk to the right person, you can support the fight against spam actively while gaining the pleasant feeling of having done something. But will it help? While a lot of the junk email you get is from hijacked computers of people who are guilty of not securing their PC but not directly of spamming and while there are a few spam-friendly ISPs, it still makes sense to report unsolicited emails to the administrators of the part of the internet where the message originated. Some reports may lead to spammers getting kicked off by their ISPs, and the reports serve as an incentive for internet service providers to educate and secure their users so their computers are not turned into spam-sending zombies. word and send your report. One of the most comfortable and sophisticated spam reporting services is Spamcop. If you don't have much time but still want to report spam, Spamcop is the way to go. Of course, you can submit just as perfect spam reports manually, too. It's an interesting insight into and lets you get in touch with how the net work. Let's begin with identifying the spammer's ISP. whoswho@courtbasketdrive.info - who claim to build a database of who is who is business. They want (funnily enough) you to confirm your details.... AVOID! That's sounds great that I am now milliner. From the same time when I read your email which sent to me by you it makes me feel still happy I know its fraud but if it's not then give me some solid reason to believe. Nations Organization, we wish to congratulate you formally. Union outlets in your Current location. others after 24 hours of Receiving each payment. any inquiries on the above message. For: United Nations/Western Union, Malaysia. Thank you for getting back to me. Below is the job details. Pepsi™ seeks people -- regular citizens, professional drivers to go about their normal routine as they usually do, only with an advert of "Pepsi™" plastered on your vehicle, bike, boat etc... The ads are typically vinyl decals, also known as "auto wraps,"that almost seem to be painted on the vehicle, and which will cover any portion of your car's exterior surface. What does Pepsi™ get out of this type of ad strategy? Lots of exposure and awareness. The auto wraps tend to be colorful, eye-catching and attract lots of attention. Moreover, it's a form of advertising with a captive audience, meaning people who are stuck in traffic can't avoid seeing the logo alongside them. You will be compensated with $400USD per week which is basically a rental fee for letting Pepsi™ use the space. No fee is required from you. Pepsi™ shall provide experts that would handle the installation of the advert. You will receive a weekly check payment which will be sent to you via postal service for accepting to carry this advert for us. It is very easy and simple job. We will contact you immediately above information has been received. advertise for us? We are currently employing individual’s world wide to do this for us. It is very easy and simple with attractive pay. Nice posting everyone!! Keep it up. Why is my email spam? Who sent this junk email? 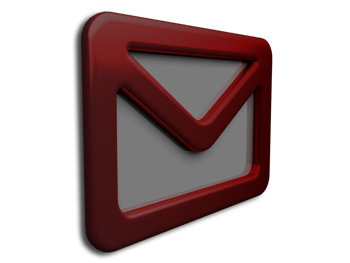 Email Junk Box - Scams, Fakes and Spam. Picture Window theme. Powered by Blogger.